Living at the Running Y Resort is the dream life you’ve been looking for. With so many amazing amenities, living the resort life brings with it a peaceful and meaningful level of comfort. Located just east of the Cascade Mountains in beautiful Southern Oregon, the Running Y Ranch Resort is nestled in the pine trees with views of the golf course, lake, ranch, wild life and bird watching. The Running Y Ranch hosts an Arnold Palmer Golf Course, a Lodge, wedding venue, 2 restaurants, coffee shop, market, fitness center/spa and many more opportunities for fun and enjoyment. During the winter season the Ice Skating rink is open for sports and entertainment and during the warmer weather, there is horseback riding available. Can’t you just imagine the wonderful life you will create for yourself and your family? Our real estate office is located right here on the property. What better way to really get to know what living at the Running Y is like than to work with someone who loves living here and can give you first hand knowledge and expertise. Carol can help you find that dream home, second home or investment property. She lives at the Running Y and is excited to help you become part of this wonderful community. Give her a call or text to get more information. 541-363-6647. Carol specializes selling real estate in the Running Y Community. As a resident of the Running Y, Carol knows first hand the joys of living the resort life. Carol comes to Fisher Nicolson Realty with experience in operating, buying and selling businesses and investment properties in the Bay Area and Northern California. 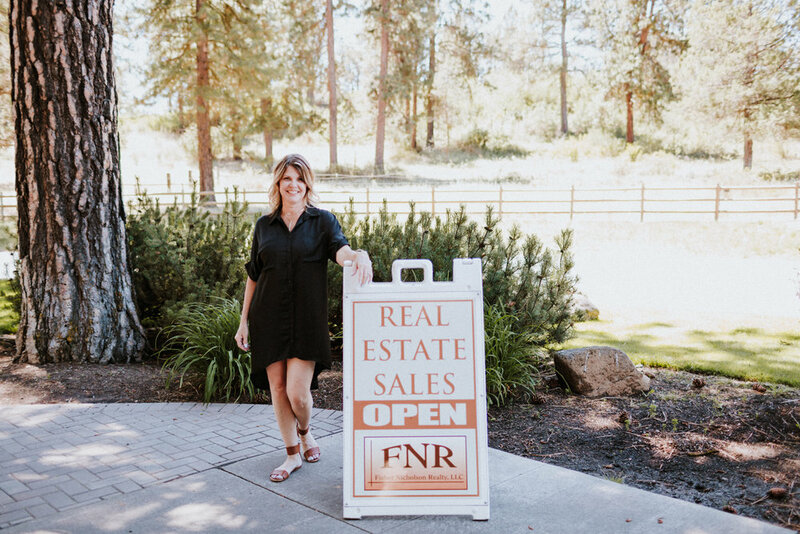 Her most recent business “flip” was a 20 acre ranch and wedding venue located just outside of Redding, CA. She then relocated with her husband to Klamath Falls where they enjoy the beauty of Southern Oregon. Carol and her husband have 5 grown children and 4 grandchildren. She likes spending time with her loved ones, cooking, painting and sewing. Carol is a lifelong student and has attended art classes at KCC and SOU. She is passionate about health, shopping local and living in a small community.